2018년 9월 13일, 한국의 서울대학교 언론정보학과 학부생 40여명이 미디어연수를 위해 도쿄대학의 정보학환을 방문했다. 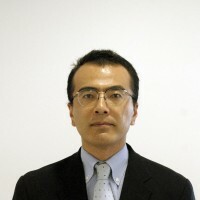 정보학환과 서울대 언론정보학과는 1996년 협정을 맺은 이래 매년 한일 국제 심포지엄을 공동으로 개최하고 있다. 이번의 도쿄대학 방문은 서울대학의 언론정보학과 학부생이 외국의 미디어 제작 및 연구현장을 견학하기 위한 목적으로 기획되었다. 일본의 미디어 환경을 체험하기 위해 일본방송협회(NHK)와 아사히 신문사, 그리고 미디어 연구의 장으로서 정보학환을 방문하는 일정이었다. 오후에 도착한 학부생들은 캠퍼스 투어에 참여하여, 에도시대의 유적지인 아카몬과 산시로 연못, 그리고 독특한 건축양식으로 지어진 법학부와 야스다 강당을 둘러본 후, 연구기관으로서 종합도서관, 후쿠다케 홀, 다이와유비쿼터스 학술연구관을 견학했다. 이어서 마에다 유키오 교수의 강연이 후쿠다케 홀에서 진행되었다. 학부생 방문을 환영하는 인사 후, 마에다 유키오 교수는 학부생들이 이해할 수 있도록 일본의 정치적 흐름을 조감하여 설명했다. 이 강연에는 마에다 교수가 지도하는 박사 후 과정의 우은희 연구원이 참여하여 한국어로 보충설명을 더했다. 이어진 질의응답에서, 한국과 일본의 정치환경의 비교, 미디어와 정치의 관계라는 주제로 활발한 논의가 오갔으며, 학부생의 질문에 대한 응답으로 마무리되었다. 이번 정보학환에서의 연수를 통해, 서울대학교 언론정보학 학부생들이 일본의 미디어연구를 접하여 국제적인 소양을 쌓는 기회가 되었기를 기대한다. 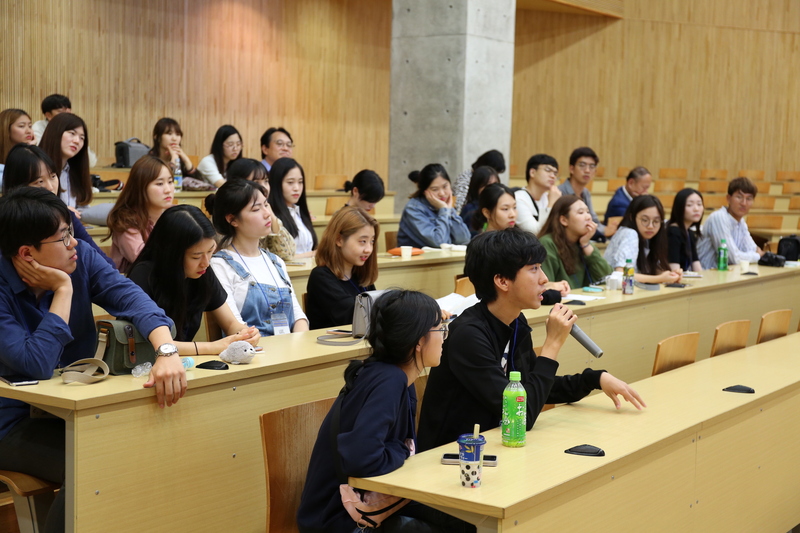 40 undergraduate students and several faculty members visited the Inter-Faculty Initiative in Information Studies on September 13th as a part of a research study tour organized by the Department of Communication, SNU. 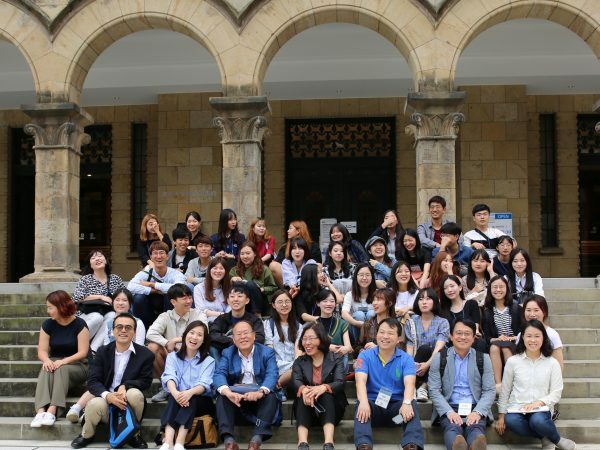 The SNU communication department and UT III have a long history of mutual collaboration, including their international symposium held every year since 1996. 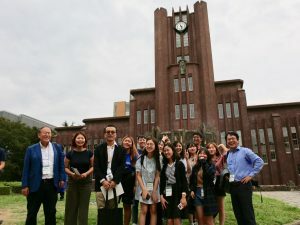 The purpose of this visit was to observe and understand media and news production and related empirical research in Japan. The SNU students not only visited UT main campus but also NHK, Japan’s public broadcasting system, and Asahi Shimbun, one of the leading newspapers in Japan. 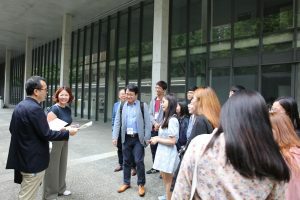 The undergraduates who arrived in the afternoon participated in a campus tour. They had a chance to see legacies of the Edo period such as the Red Gate (Akamon) and Sanshiro Pond. 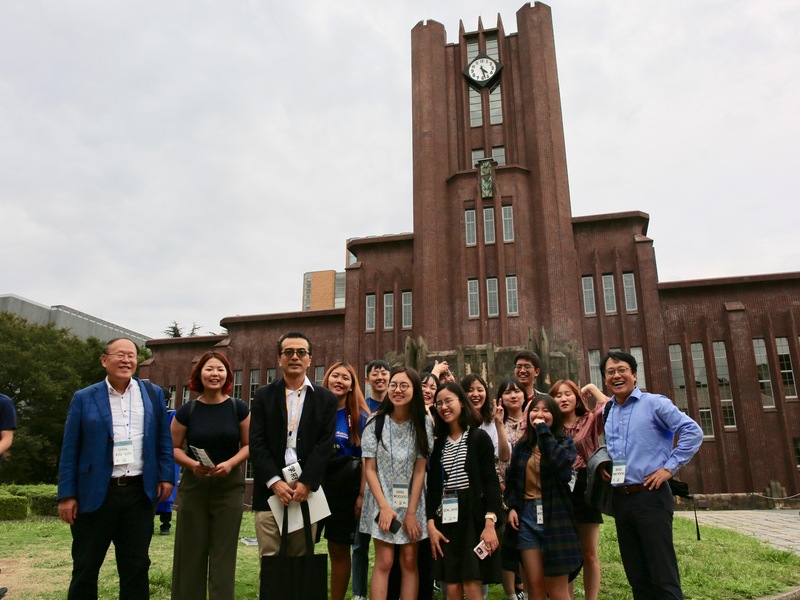 They also learned the history of the university through visiting various buildings such as Yasuda Auditorium, the main library, Fukutake Hall, Daiwa Ubiquitous Building, and the Institute of Oriental Culture. 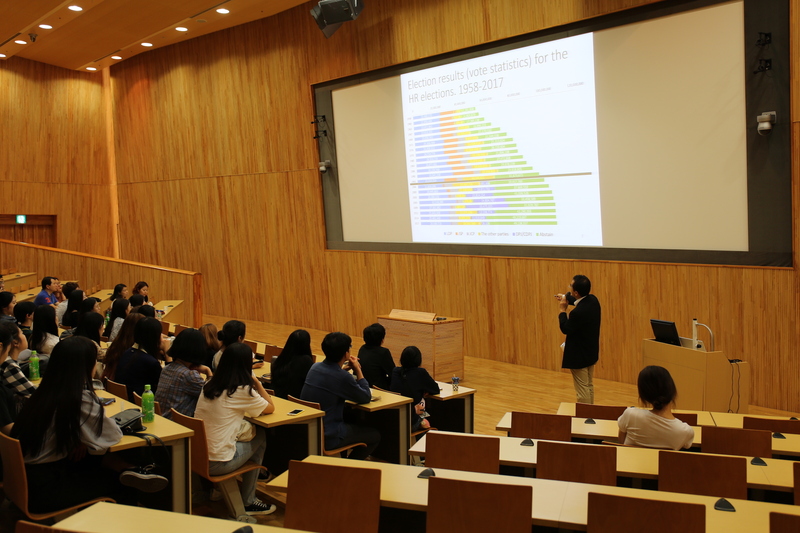 After the campus tour, Professor Yukio Maeda gave a lecture on party politics in Japan at Fukutake Learning Theater. A post-doctoral researcher from Korea, Eunhee Woo, gave additional commentary comparing Korea and Japan. After the lecture, active discussion on the relationship between media and politics in Japan followed. This visit is expected to contribute to the intellectual development of SNU students and further friendship between the Dept. 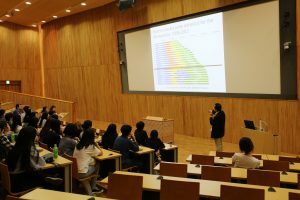 of Communication, SNU and III, University of Tokyo.